Steffany King submitted this photo. 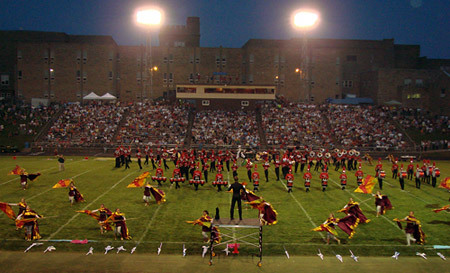 This is the Colts at our home show in Dubuque, Iowa on July 26. We always try to get a shot from backfield so we can see the crowd with the corps. A full stadium is a treat for everyone involved! It was a beautiful night for drum corps, and we were blessed with a crowd of about 3,000 fans who were treated to an outstanding evening of performances.